We loved having lots of space, a kids' room with 2 twin beds so my son/daughter got their own bed, the location (6 blocks from La Sagrada and just around the corner from the Metro! ), having a bright & cheery apartment with an elevator, very helpful kind staff, beautiful kitchen with freezer and refrigerator, enough basic kitchen tools to eat a few meals in, and nice tile/fixtures. We really enjoyed our stay! Great place to stay for the money. Near the metro station, markets & shops. The apartment met our needs. The elevator was great. The kitchen was equipped with a dishwasher, enough plates, glasses and silverware. We were in a neighborhood, not the tourist area so we saw how the people live. Lidl grocery store two blocks away. Near Metro station and buses. City is very easy to walk around. Our 3 room apt. was much better than in the photos!!! Near segrada familia and <10 min walk to the subway, super clean and modern, cute little balcony. Quick response over the phone when we needed some extra paper, etc.... Good strong (central controled) A/C. Automated check-in went smooth. Big, clean apartment. Air Conditioner worked well. 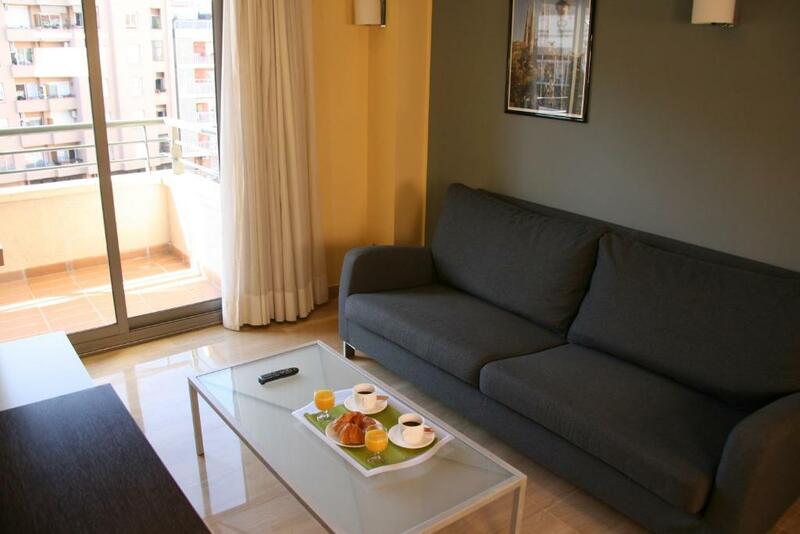 Lock in a great price for Suites Independencia - Abapart – rated 8 by recent guests! One of our top picks in Barcelona.Suites Independencia features stylish apartments just a 10-minute walk from Gaudí’s Sagrada Familia and 500 feet from Encants Metro Station. It features apartments with cable TV. 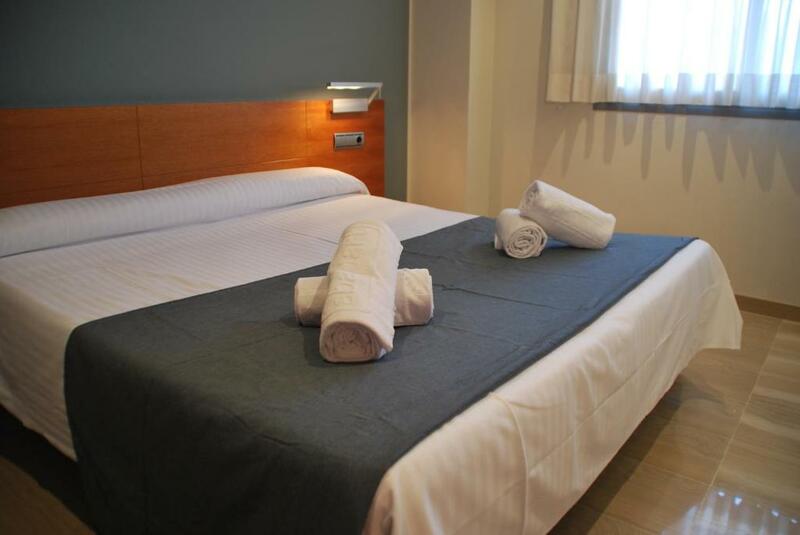 The Indepencia’s bright, air-conditioned accommodations have simple, modern décor. 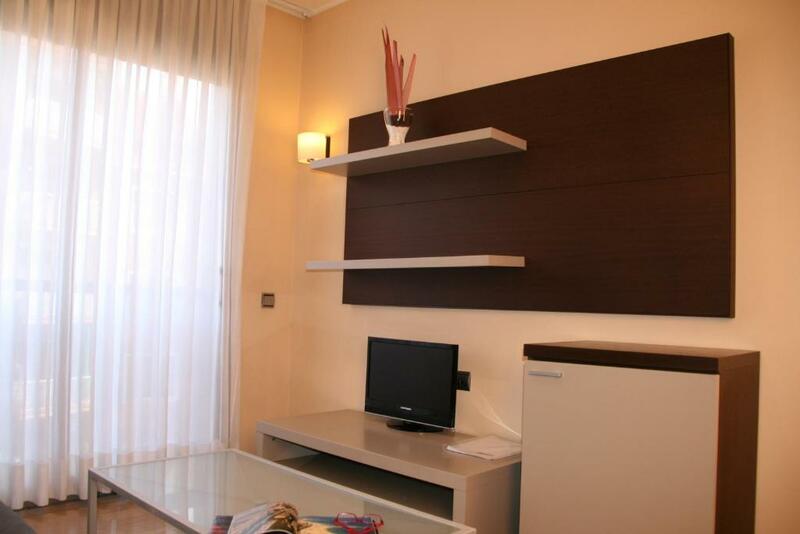 Each apartment has a spacious sitting area and a well-equipped kitchenette with an oven. Some apartments have a balcony. The area surrounding the apartments has a varied selection of shops, cafes and restaurants. Sagrada Familia Market is a 10-minute walk away. Barcelona’s historic quarter and Las Ramblas are just 4 Metro stops from Encants. 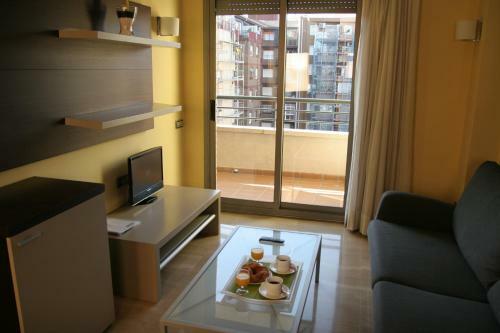 The beaches at Poblenou are just over 1 miles from the Suites Independencia. 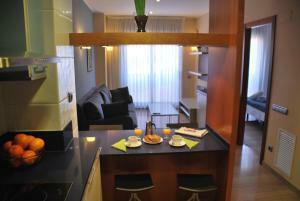 When would you like to stay at Suites Independencia - Abapart? Air-conditioned apartment with a spacious sitting area with cable TV and a well-equipped kitchenette with an oven. Some apartments have a balcony. Public parking is available on site (reservation is needed) and costs EUR 21.60 per day. 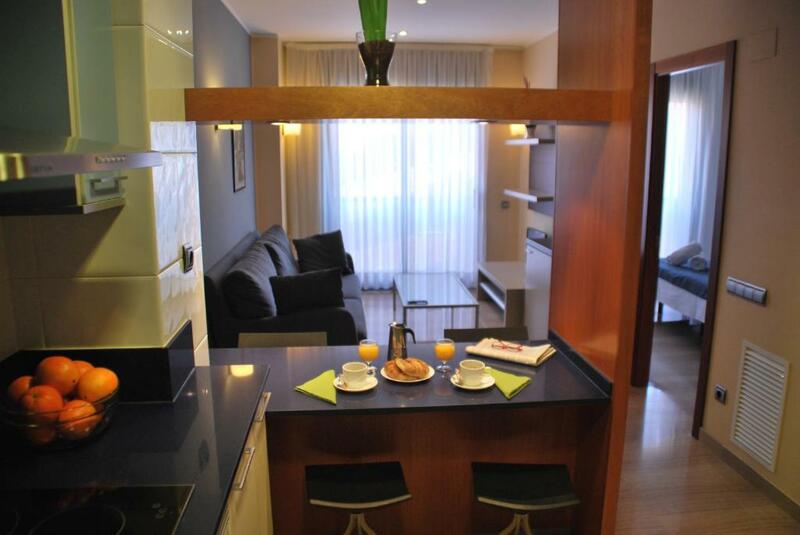 House Rules Suites Independencia - Abapart takes special requests – add in the next step! 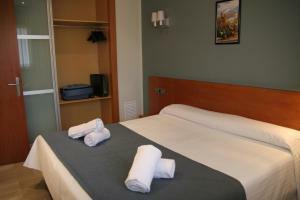 Suites Independencia - Abapart accepts these cards and reserves the right to temporarily hold an amount prior to arrival. Please note that check-in will be done at the 24-hour check-in machine. The 24-hour check-in machine only accepts credit or debit cards, and requires the card's pin code. Please note that the tourist tax is not included in the price of the booking and will be charged directly by the automatic terminal at check-in. A 24-hour phone is available in the lobby to attend to any questions. Please note apartments are cleaned every 5 days. Please note, for nonrefundable rates the property will send you a link for online payment. The property will contact you after you book to provide instructions. We had to ring to contact a member of staff as there is no reception desk. 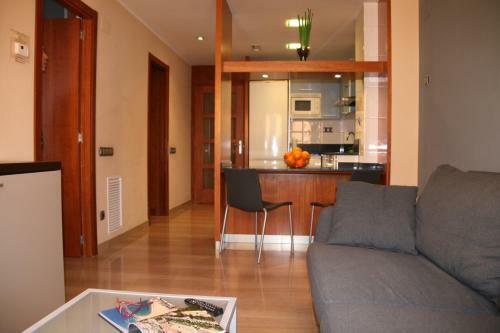 Very close to metro station that goes into the centre of Barcelona, also within walking distance of Segrada Família. Our shower had mold around the edges at the bottom of the shower, which could be easily cleaned with bleach spray. The tile walls in the bathroom and in hallway had gunk and dirt on them. Nothing horrible, just details overlooked. Shower sprayer shot half the water out the the hose instead of the nozzle-- just needs replaced. Be sure new guests understand check in procedure! Make email clear in title. Our power went out and we had to wait after 4pm till someone was back. The cleanliness of the rooms and the lighting. All was very good and comfortable. No coffee machine, just a water cooker, which also leaked. Location was great, neighbourhood quiet and a short walk to the nearest metro station. Some things were missing in the kitchen. Great place close to the center. Metro station is a 3 minute walk. The apartment is outstanding and the neighborhood great too. Recommended! Very good location, clean, spacious, quite, easy to get into the city centre and many of the sights, good restaurants nearby. The gentleman who I spoke to on the telephone was very accommodating and very friendly and very helpful. He allowed us to leave our bags there until the evening. The apartment was well equipped quiet and neat and clean. The area was easily accessible. I was sceptical initially about the automated check-in service, however this works exceptionally well. All in all an excellent property. The Wi-Fi was terrible. At some parts of the apartment it barely worked, in other parts (especially bedroom and living room) it did not work at all. The location was great! Everything is near by: metro, cafes, grocery stores. The apartment was very comfortable with a fully-equipped kitchen.